At Ontario Winter Camping we serve guests sumptuous meals showcasing the diversity of produce from local farms and food crafters. Dinner, Breakfast and Lunch are included with your stay plus we serve coffee at your yurt in the morning. Wether vegetarian, vegan or a meat eater our menus cater to satisfying the epicurean adventurer. Down Load the Atelier Cuisine PDF for more info about menus and local farms. Call 226 668 3030 to let us know your menu preferences. 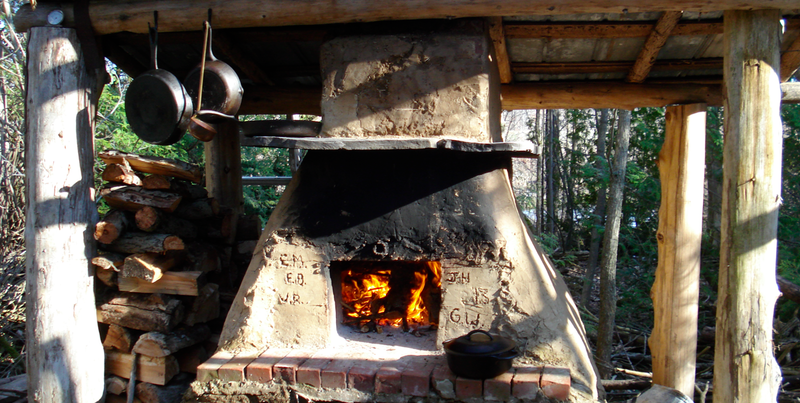 The Clay Oven, perfect for slow roasted meats & vegetables.